If you ever did a quick search on Youtube on how to wear Hermès’ silk scarves around your head or neck, the conventional way would be folding the 140 cm square scarf in half diagonally, before securing with a knot. Which brought up the golden question. When will Hermès release a simpler version that skips this step altogether (without the need to fold into half) so that it sits lighter on the neck without compromising on aesthetics? 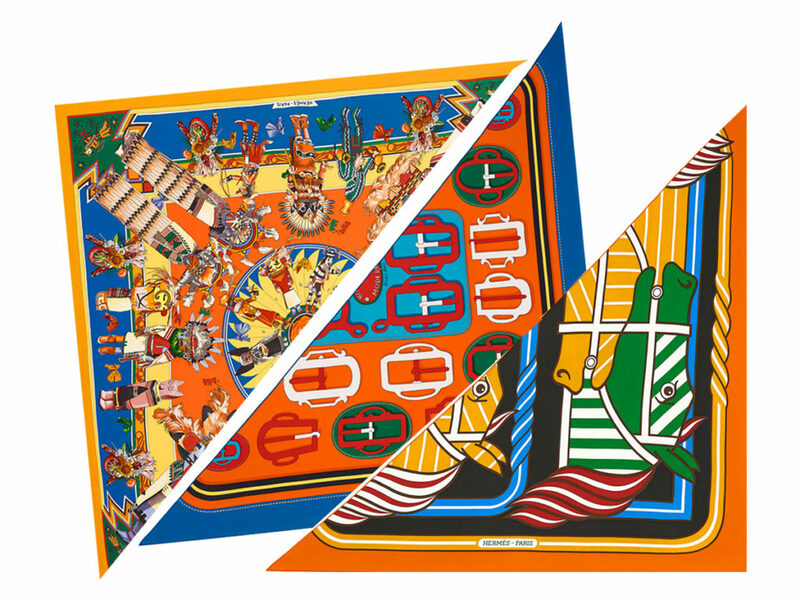 Well, the wait is now over as the Parisian luxury brand finally unveiled a brand new design earlier this month, which they have affectionately termed the Giant Triangle Scarf, one that comes in 3 different designs (for now), the Bouclerie Moderene, Kachinas and Quadridge Bayadère. Essentially how a giant 140 cm square scarf would look when it is cut diagonally across, the triangular piece measures 190 cm at its widest (140 cm at the sides), is printed on Hermès’ classic silk twill, finished with hand-rolled edges, and completely made in France from start to finish. An alternative to the 140 cm square scarf (the most popular size after the 90 cm square), it’s also worth pointing out that the Giant Triangle Scarf is priced a tad bit lower, and comes in a handier size that’s great for carrying around with you all day long. Priced at SGD910 each, the 3 designs are available in an assortment of colour options for you to choose from now across Hermès boutiques in Singapore. First paragraph, last sentence – I believe you meant ‘without compromising’. Still excited about them scarves! Oh yes! My bad, and thank you!